It is very early and I am awake. I left town yesterday because of the yearly block party (I refuse to use it as a proper noun – pun intended). It was a wonderful day in Jim Thorpe and a beautiful day to be walking around. 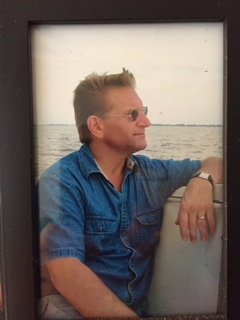 Early yesterday morning, I got a call from Stephanie informing me that Peter, the life-long friend whom I have noted as of late, had passed away earlier Saturday morning, ending his battle with ALS. It is a bitter-sweet thing to say I am both relieved that he no longer needs to suffer, but I am so profoundly at a loss because someone who has been my friend since the beginning of my life, and someone even younger (albeit only a year, almost exactly), has left this earth. As I noted a few posts ago, this is a very different feeling than the feeling I had with Lydia. While losing Lydia is still part of my daily thoughts, she was 90 and had lived an amazing life. Peter was 58 years old. At one point I might have considered that old. That is undoubtably not my reality now. When I went to see Peter three weeks ago, he noted that he never really expected to grow old. That statement caught me off guard, but I noted that he probably did not expect to have to battle such a vicious and uncaring disease as ALS. I want to talk about the memories of this most amazing, yet profoundly human, friend of mine. Our mothers were best friends all of our lives and our families did most everything together. Peter, James, and John (Biblical sounding) were the three Goede boys and Robert, Michael, and Kris (I am the Michael, not trying to state the obvious) were the Martin children. Peter’s mother was our church organist and our two father’s, Jake and Harry, pretty much ran Riverside Lutheran Church when we were small. To walk into my house and see Marge, Peter’s mother, at the kitchen table having iced tea with my mother was as common as breathing. To see our fathers working on something at church was a common as listening to Pastor Anderson or Ofstedal, our two pastors from childhood through high school preach every Sunday. If it was the 4th of July, we were at McCook Lake and the Ike’s Club to celebrate with fireworks and picnics. 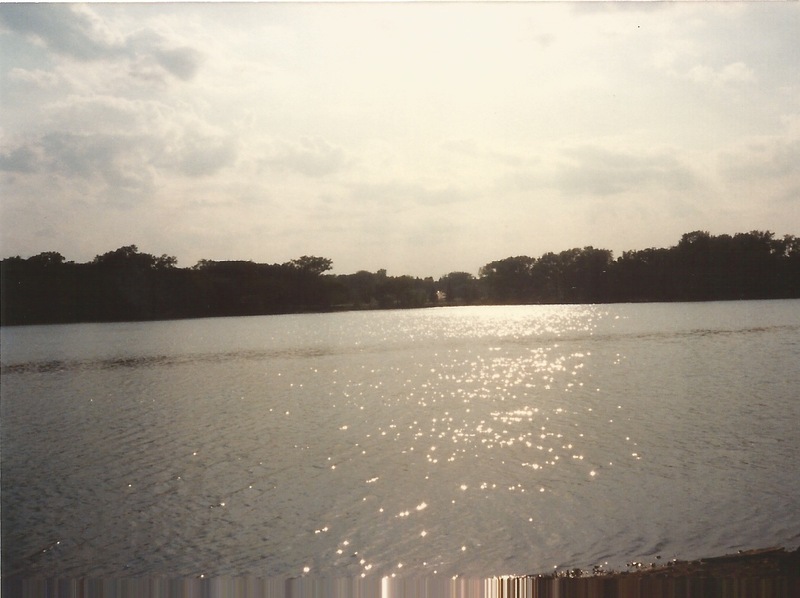 When I was 17 years old, Peter saved my life when I almost drown in that lake. If he had not swum across that lake, I am am quite sure I would not be writing this post and he would be joining me rather than I being one of the many who has lost him. His older brother, John, was instrumental in really creating a strong church youth group and that youth group was a significant part of my growing up. I remember when the famous Beatles song, “Let it Be” was the theme of our homecoming growing up. It was that song and Pete’s singing of it that got his voice noticed and began a life-long gig with the garage band, The Establishment, who were eventual inductees into the Iowa Rock -n-Roll Hall of Fame, that would in someways identify Peter for the rest of his life. Whether it was their gigs or his grandmother meticulously braiding his almost waist-length hair; whether it was traveling to another high school homecoming dance or a weekend in Spencer, Iowa, where we spent hours listening to the latest 45 trying to figure out the lyrics to “Rocky Mountain Way”, his voice was in the process of becoming legendary. Growing up I walked beans on their farm; I spent moments driving around in our cars; hanging out wherever we might decide like the Runza Drive-in on Riverside Blvd. When I left for the Marine Corps after graduation, our actual time together was significantly less than our childhood years, but eventually, I was best man in his wedding and he was the same in mine. When I ended up in seminary, Whitney, their daughter was born and I sang at her baptism. He would sing at my ordination and he sang at my sister’s funeral. Our fathers passed away within two months of each other. Even though our lives when through a myriad of changes, there was never the need to figure out who the other one was or who they had become. I remember going to Whitney’s high school graduation reception and what he told me that day was a bit shocking, but he was even then taking a sort of inventory of his life and what had happened. Peter was an unequalled when it came to working hard and not giving up on things. In the early days of he band he would buy their PA equipment, taking out loans in his own name to make sure they had what was needed and he and Flood Music became sort of business partners. He was one of the first to get into the hardware/software/networking area and he did very well. Even when it required changing companies and learning a new gig or thing, he was up to the challenge. Yet, he was a human and sometimes the habits we learn early never leave us. There were things he battled and as with many of us, he could be his own worst enemy. I understand this malady all too well. A couple of years ago, I sent him a letter. It was a letter that I had written as I was recovering from complications of yet another surgery and a letter than reflected much as I am now. As I battled yet another serious health crisis, I called and read him the letter before I even sent it. I cried that evening as I cry now. I am now more than grateful that I took the time to write to him and to Stephanie at that time. I am glad that I took the time to visit him three weeks ago. I am grateful for the conversations we had that day and the opportunity I had to speak with Stephanie a few weeks before that. We take so much for granted. Later today, I will spend time watching a student be inducted into the national honor society. Quite a change from the beginning of their college tenure, but what it demonstrates is someone not taking anything for granted, but realizing it takes work and that no one owes us anything. That is such a difficult lesson. There is no promise of a long life; there is no promise of success, even with hard work. Each day is a gift and coming to terms with that is something that takes most of us a long time to realize, if we ever actually come to that realization. Each time I am shocked or jolted into this reality, there is little that can be said. It is yet another forced realization. To use the word “forced” demonstrates that we are so easily lulled into complacency or a sense of expectation. We have our plans (and heaven knows we need to plan), but we have little comprehension, nor do we want it, that the line between life and death is much more tenuous than we care to consider in any regular manner or given moment. I think some of our occupations require us to do so (medical or health care workers), but generally we make our long-term plans merely believing that those things will happen. I am quite sure that neither Peter nor I expected to incur some of the things that we have in the 40 years since high school. I do think he expected to have Stephanie in his life, and I am grateful to her for being the amazing person she is. I know the last time he and I spoke he talked about how important his children were and how proud he was of them. His daughter and son, while I do not know them as well as I might wish, are certainly incredible people. They are successful, but more importantly, they are also good people. What I know my friend is that as I think about our lives, I would not be the person I am without some of the things we shared and all the ways our lives were intertwined growing up. You have taught me what true friendship is. We remained friends during your entire life. When I told you three weeks ago that I loved you, I meant that from the bottom of my heart. In spite of your fragile condition, you were as gracious as you could be and we had a nice day together. We laughed and we cried. The tears streaming down my face now are tears of relief. They are tears of sadness and also tears of graciousness, for gratefulness, that we had the opportunity for some sense of closure. I promised I would come see you as soon as school was finished for the semester, but that was not to be. Instead, I am honored and humbled for the opportunity I have had to share together with you our lives, sometimes on a daily basis, sometimes at a distance, sometime with a passage of time, but regardless it was a friendship that abided change of time, distance, jobs, and anything else that might have happened. I am not sure what the schedule will be this coming week, but I know that I am headed back to see you again, sooner than I imagined. This time to be there for your children and for Stephanie and to share with all the people who loved you. As I write this, ironically, I am listening to iTunes and “Dream On” came on. Your voice and your ability to be the show person you were will always amaze me. I hope you have a wonderful stage on which you can share. I know your parents and grandmother are there to welcome you. I am glad you are no longer suffering, but I will miss knowing that you are there in Eagan. I love you, Stephanie, and I love you my friend. P.S. I have to add that I have now heard “Let it Be,” “Stairway to Heaven,” and “Free Bird”. Thanks for the messages, my friend. Buenos días del restaurant de Bloomsburg Diner. Me levanté un poco más tarde de lo habitual porque me quedé despierto y vi el baloncesto Wisconsin-Kentucky juego. Anoche Jerry y Julye acercó a cenar y tuvimos un tiempo maravilloso. Pronto iré a conducir a Nueva Jersey, a las afueras de la ciudad a ver a mi cuñada y a la familia y cenar con ellos. Será la primera vez que realmente he ido por ahí, así que creo que estará bien. Me recuerda a los domingos de Pascua en el pasado cuando era pastor de una parroquia. Al final de la semana Santa, con todos los servicios, siempre estaba agotado. A finales de los servicios el domingo de Pascua normalmente estaba completamente incapaz de pensar o procesar nada. . . . It is hard to believe that another four days have gone by and I am trying to manage finishing this post again. The week is totally out of hand. I had a pretty tough night and then had tests run again this morning. I am honestly not sure what to expect for the CT scan and the other blood work this time around. If I am honest with myself, I know that I am managing things pretty well, but I do not feel that I am making as much progress as I would like. I am in my office until wee hours and back early, but it seems that is what the end of every semester and even more so every Spring demands. Yesterday I think I probably ripped into a student worse than I have every done before. He is such a capable and fundamentally good person, but he is, by his own admission, incredibly lazy. It has shown up in so many ways. What is so different for students now is what it cost them to fail their courses or merely choose to be average when there are 15 million undergraduates out there. It is sort of mind boggling. I did follow up with someone else on that situation, so hopefully together we can get something accomplished. It is actually a Monday and a week and a day after I began this posting and again I am languishing trying to complete it. It has been the story of my life over the last weeks and couple of months. As noted a couple of weeks ago I went to see my friend, Peter. I got a text on Friday and I spoke with Stephanie on Saturday and the battle with ALS seems to be in the last days. This is both sad and frightening to me. It restates to me with such ferocity, “You are mortal; you are fragile; there are no promises!” It screams with a roaring definitude, “Pay attention; be gracious; make a difference!” I reminds me again of the profound mortality we face daily, with little or no recognition. As I ponder his imminent passing, my eyes once again fill with tears because I am staring headlong into the passing of a person who has been a friend and a significant part of my entire life. We have grown up like most; foolishness and a sense of immortality characterized some of our earlier shenanigans. When we were together a couple of weeks ago, we laughed and cried as we reminisced about some of those events. We spoke about what he hoped to accomplish before he passed, but I am not sure that either of us believed it might be within the next weeks. Now I feel like I am waiting for the call or the text to inform me that a childhood friend, a life-long friend, a father, an amazing musician, is no longer part of this world. It make my entire body feel like it is experiencing something outside my body. This is one of the things that matters to me as I write this. I want to from a distance provide as much support as I can because I have a job here to accomplish. Today I think I am heading into another all-nighter. It is not my preference, but it is a necessity of my life at this point. It is what I need to do to provide my students with the feedback and information they need to manage the end of the semester as successfully as possible. It was interesting to me that today on Facebook, I was pondering the passing of another and had flown back to Wisconsin to manage that time. It was a rather cute moment because Melissa was staying at the house and keeping an eye on things and could not figure out how to unlock a door to get her pizza. I wish I could have been in the corner to see that. I am sure she is quite glad that was not the case. It was a crazy weekend because I was across the country in only three days and back. It reminds me of how life changes in so many ways, and sometime so amazingly quickly. It is only four months into the new year and already there are significant changes in my life. Most of that has been in the loss of people. I will write more about that again, but now I am thinking about the end of the year. I again have students that I have known since they were summer freshman and are now graduating. It is quite stunning if you consider the differences they have made and the growth they have gone through in this past four years. It is also a bit gratifying to see those changes. We are now at that point where no one can procrastinate; it matters not which side of the blank stare you are on. I need to merely focus and plug away. I both dread and love this time of year. It is the time when my office is full of students and the requests for more time seem unending. This past week I had a couple of student situations that both surprised and dismayed me. I wonder how it is that some students are so recalcitrant about doing their work in a reasonable manner. I had a student this week tell me that going to the writing center (paraphrased) a ridiculous waste of his time. I was almost dumbfounded. Not so much that he thought such a think, but that he had the audacity to say such a thing in class. It is not often that I am left speechless. I was speaking with my niece at Easter time and she is a second grade teacher and she noted that even the change of respect levels at that age is noticeably different. What is it that has caused us as people who were raised to be polite have allowed our sons and daughters to be less than polite. How did it happen that we have abdicated our responsibilities as parents and put it on the back of the teachers or school system. The other day at the diner one of the regulars told me it was my job to teach my students to be better behaved. I told him I had no such obligation. He then noted that the president of the university should do more about controlling things like Block Party, which is coming soon. Again, while there might have been some jest in what he was saying there was enough of reality in those comments that I have been pondering them ever since. Since when did it become a need for me to put something about decorum and behavior in my syllabus. Really?? I could write an entire posting on that. This past two weeks I have begun to play trivia on my phone. It is a way to relax for me and it is still something that stimulates my mind. I have learned that not having a television for the most part of 15 years has certainly had a consequence on my entertainment category. Otherwise I do quite well. I think it is because I have so many interests, but that has always been a blessing and a curse. I always say that having an interest has never been a problem, but focusing it has been. Well, I am going to run. I do hope those who see where this post began had a great holiday and I hope your spring is going well.